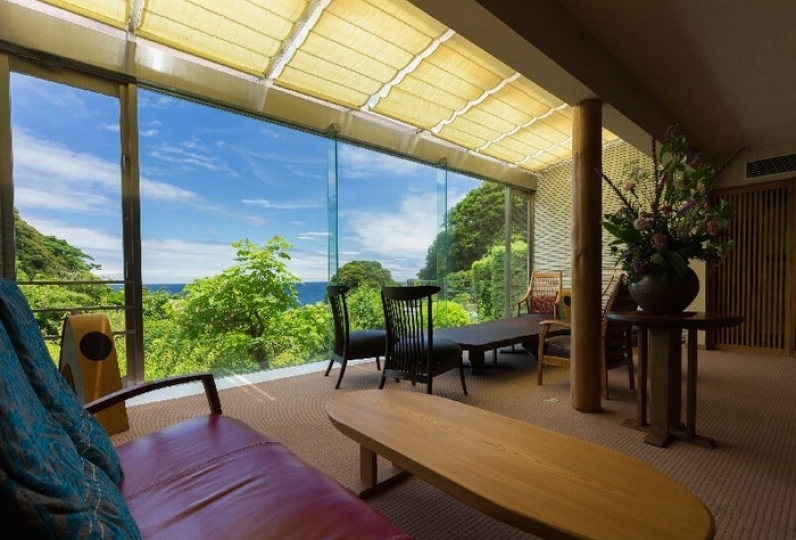 Izu's Kawazu City, surrounded by beautiful nature where the flowers bloom year round. 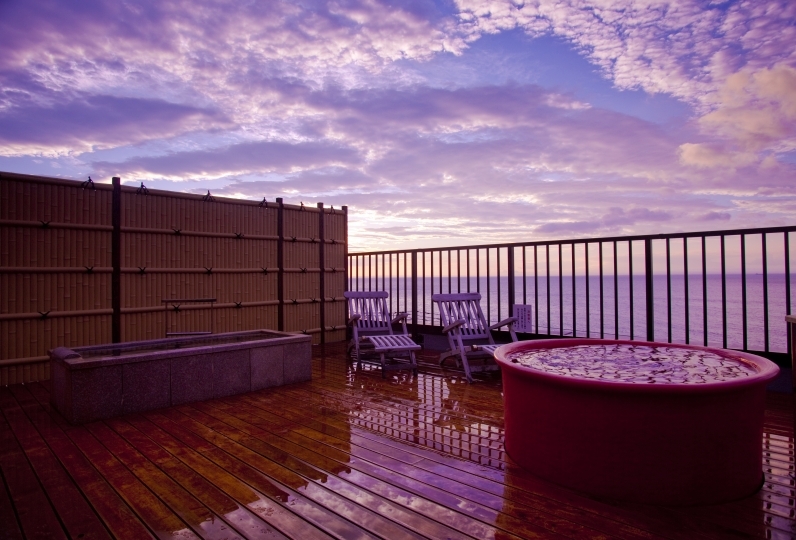 It is here in Kawazu City, that you will find a dog resort hotel located high up with a view of the ocean. Based on the concept that "If your pet is healed, then the human is healed. If the human enjoys themselves, then the pet is healed. ", this hotel provides an opportunity to make fabulous memories with your beloved pet. 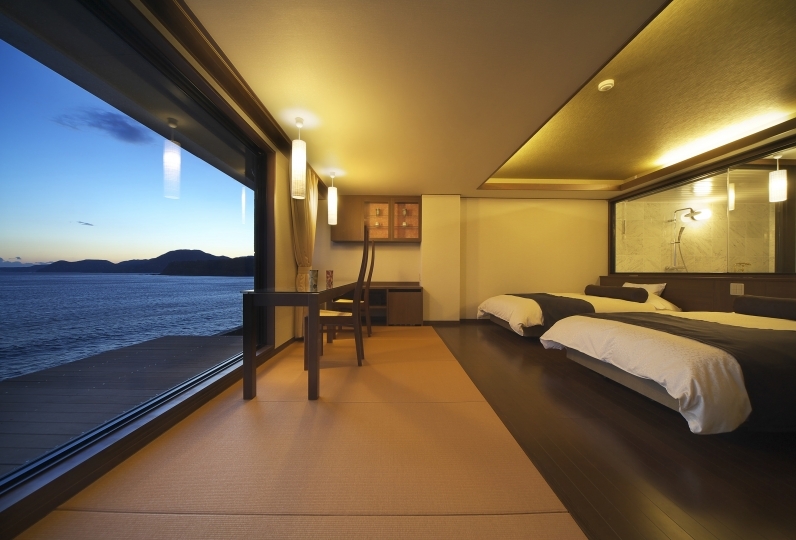 The guest rooms are designed with an Asian flair. The spacious rooms come with a large bed and are perfect for a leisurely stay. 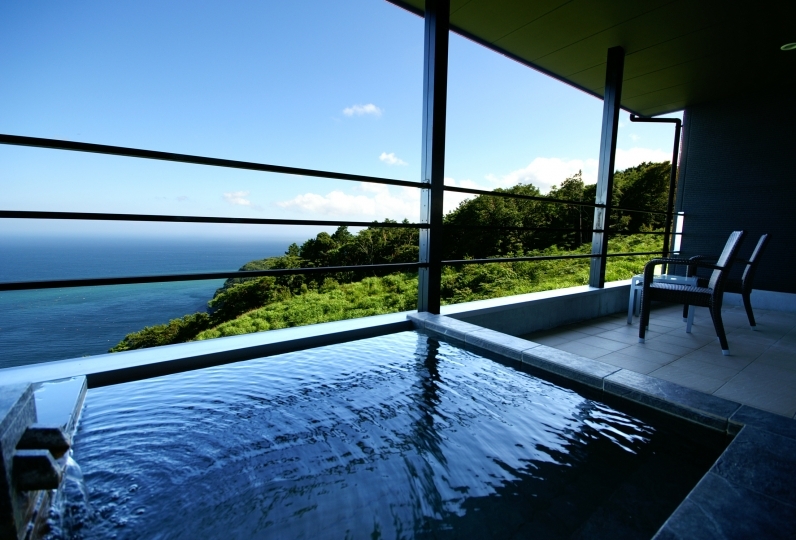 There are two private villas, 「The forest home AZITO」and 「The remote home Risu no Niwa」. 「The remote home Risu no Niwa」 has been constructed so that your pet can run freely below the structure. Our hotel has created a special place for your dog to relax and enjoy their time. 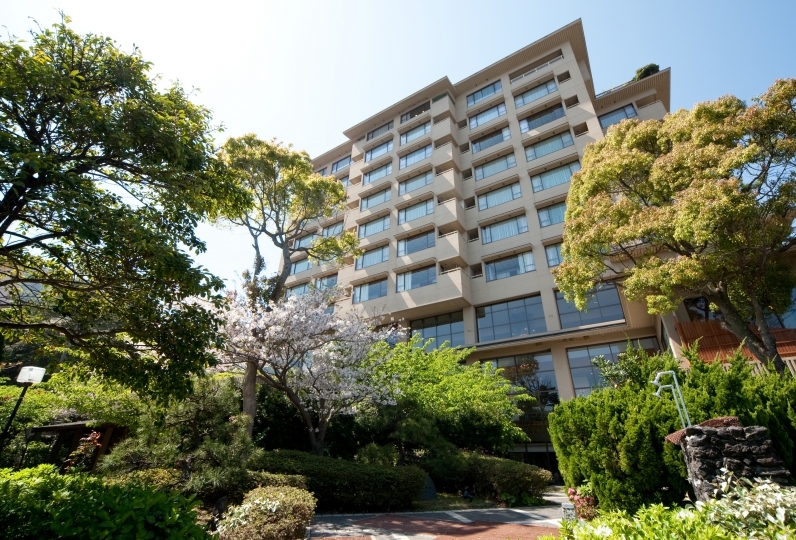 We also offer a secret 「villa」「vacation rental」 outside of our hotel stays. Please contact the concierge desk for further information. Our chefs specializing in Western cuisine and Japanese cuisine respectively constantly vie against each other to offer continuously new and skillfully prepared cuisine. Your pet will also enjoy a delicious dinner and treats specially prepared for dogs. At our spa Monstella, experience an authentic spa that uses herbs and aromas. Treat yourself and forget your day to day as you relax. 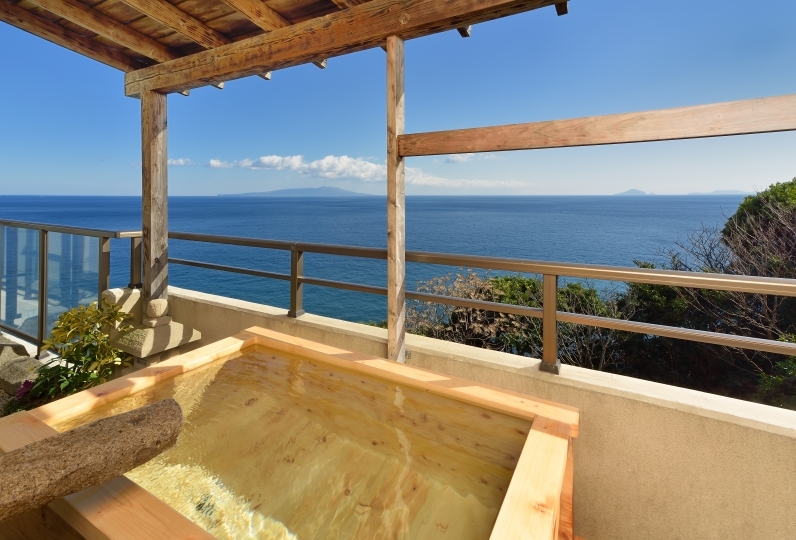 Our two different types of onsen baths are available on a reservation only plan basis. Soaking in the bath as you gaze up at the stars is a wonderful experience. We offer pet-sitting services for your beloved pet dog. We also offer other special facilities and services for your pet such as a spacious dog run in the forest and natural spring drawn hot bath dog spa. At the dog salon, we offer hair cuts as well as spa services and massages. After playing in to the dog run, treat your dog to our famous mud pack to refresh! Enjoy a truly special getaway that you get to spend with your beloved dog. For dinner, you will be able to select between Italian and Japanese cuisine. Ristorante Occhidoro is located on the hotel property. From appetizer to dolce, enjoy the delicious flavors of Italy that have been prepared with local ingredients. 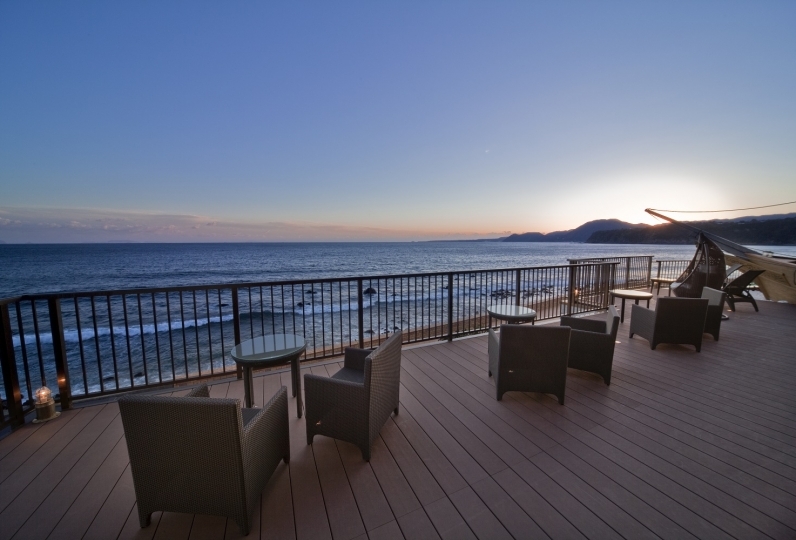 Enjoy freshly caught fish from Suruga Bay and Sagami Bay along with ingredients from the mountains of Izu as you sip on one of our large variety of wines or something from the drink menu. Located 5 minutes by car from the main wing, our Japanese style restaurant is located in a remodeled early Showa period villa with an antique atmosphere. Enjoy authentic Japanese cuisine served on retro dishware as you gaze out at the steam that rises from the nearby hotspring. Our two reservation only outdoor baths can be rented for just your family. We also offer a bath tub for nervous little dogs where you can play with them in bathing suits or shorts (we offer rentals). A dog run split into two that can be used even just after raining due to the use of scoria. A relaxing space with a tent sofa that is illuminated beautifully at night. 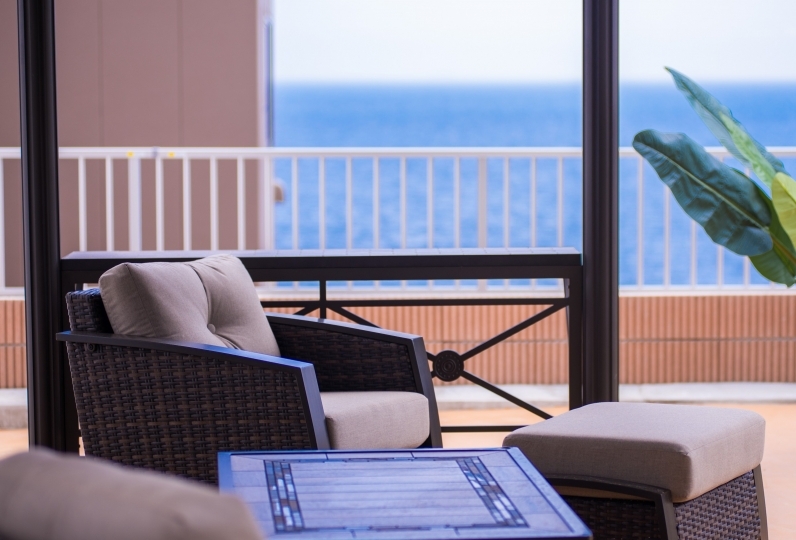 Enjoy the view of the ocean during the day and the starry sky at night. 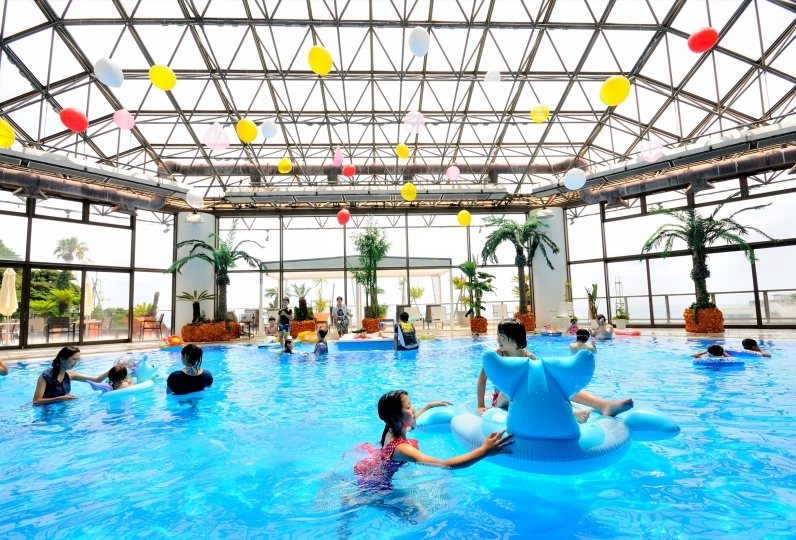 Hotel Shikinokura is a resort where you can stay with your pet, located in Kawazu, Izu, Shizuoka. Enjoy a wonderful stay with your pet as you enjoy the onsen and Japanese and Western cuisine prepared with local ingredients. There are many types of offers including cat discounts, multi pet discounts, plan discounts, and free offers. 〇　Guests can select between Italian cuisine or Japanese cuisine for dinner. However, we will charge an additional ¥3,000 (taxes not included) per guest for Japanese cuisine. 〇　If you have a food allergy or other food concern, please contact the hotel directly. We may be unable to accommodate requests that are made on the day of your reservation. 〇　Please indicate if you are a smoker.